Not sure how to brew green tea? Do you keep getting a cup of tea that tastes bitter and unpleasant? Don't worry, there is a solution for your problematic tea. Whether you are drinking green tea for its wonderful flavor or for your health, you should be getting the most out of your green tea every time. Here are a few tips that will help you make a nice cup of tea and also solve some possible issues you may be having. When tea is properly brewed, you may reap a variety of tea benefits. Otherwise, the tannins present in green tea may ruin the flavor of your drink and leave it so astringent that you will have a hard time enjoying even a small sip. Water quality is extremely important to brew the perfect cup of tea. How does water influence tea? The mineral composition of the water you use will influence the final flavor of your tea. Pollution or overall poor quality of water may even diminish tea benefits. In some countries, drinking unfiltered tap water may even be harmful to your health. Reheating water over and over again is not recommended as essential minerals will evaporate each time you boil the water and it will lose more and more oxygen, leaving you with a flat and unexciting tea. 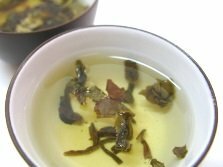 How to brew green tea with the best water quality? When you are preparing yourself a nice cup of tea your best choice would be spring still water. Always brew just the amount you plan to consume straight away. Usually 5 grams per 250ml(8oz), which is about 1 teaspoon per cup of water of water, is the ideal, but it can also vary according to the green tea variety. Brewing more tea than you intend to drink may leave you with either a cold or overly brewed and bitter leftover tea. Keep in mind that high quality teas require fewer leaves to get a good flavor. It is also important to use spacious round teapots to allow the leaves to swirl and brew completely. Whether you use ceramic teapots, Japanese tea pots or Chinese teapots just make sure the leaves have enough space to dance and release their nectar. Each specific variety of green tea may call for different amounts of tea per cup of water, but a teaspoon per cup is a good rule of thumb to use with regular teas. Brewing the perfect cup of tea depends a lot on the temperature of the water and the time the tea steeps in the teapot. And temperature and time depend on the variety of green tea. 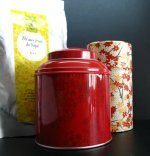 Lower quality green teas should be brewed at most at temperatures of 80ºC to 90ºC (176ºF to 194ºF) and the longest steeping times 2 to 3 minutes. High quality green teas need cooler water, somewhere between 70ºC to 80ºC (158ºF to 176ºF) and brewing time may be anywhere from 1 to 3 minutes, depending on the variety of tea. Temperatures may be even lower when it comes to the finest green tea in Japan - Gyokuro. Brewing temperatures may vary between 50ºC to 60ºC (122ºF - 140ºF) for the first cup and higher for the following brews. Quick tip: If you do boil your water when preparing high quality green teas, give the water 1 or 2 minutes to cool down or you may pour a tablespoon of cold water into the pot. It will bring it to the right temperature. Sencha – to brew this tasteful variety the water temperature should be between 70ºC to 80ºC (158ºF to 176ºF) and the steeping time around 1-2 minutes in a teapot. Hojicha and Genmaicha – for these two green teas you may boil water and let the tea leaves brew for 2-3 minutes. Matcha - the ideal temperature for making this powdered tea is 75ºC to 80ºC (167ºF to 176ºF). In this case, the tea does not steep, instead it is whisked for about 30 seconds to 1 minute. One of green tea side effects is the caffeine content. As you may know, after the first brewing the caffeine intake drops, thus after multiple brewings your drink will be almost caffeine free. However, do not forget that a shorter steeping time produces high caffeine content and, consequently, a low polyphenol amount, since these powerful antioxidants are released while your tea is steeping. 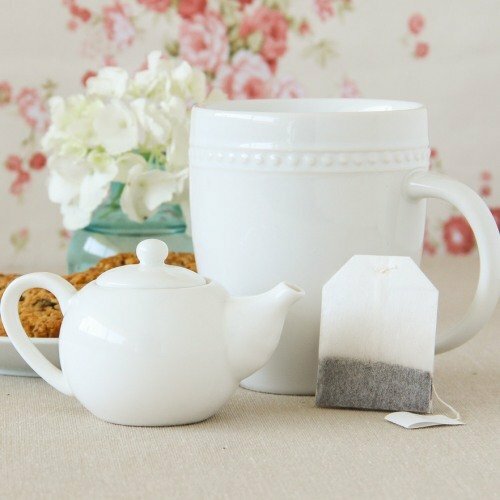 Tip 4: Loose Tea or Tea Bags? 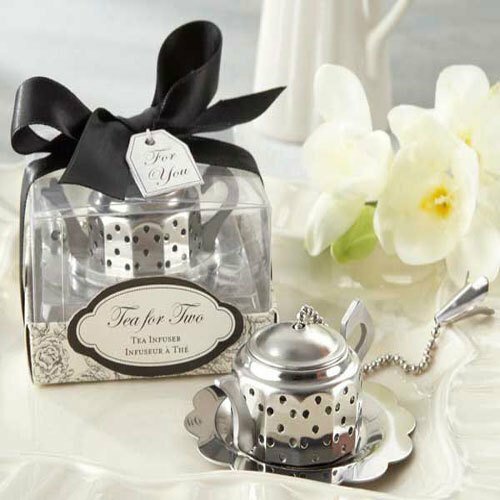 Whenever possible, you should use loose leaf tea to make your pot of tea. A good quality tea needs room to open the leaves and release all flavor and benefits into the water. When are tea bags allowed? Tea bags are a good solution when you are in a hurry, when you are travelling or simply don't have the tea instruments that allow you to brew a good tea. Remember: tea harvested for tea bags is usually of lower quality than premium loose leaf green tea. The flavor will be different and it may seem unfamiliar to you. Quick tip: If you like to drink tea in the office or on the go, consider purchasing a tea tumber that contains a filter or a tea basket. With these tips, brewing green tea should be a simple task, so let's go throught the process step by step. Prepare your teapot, put on the kettle, get the tea strainer and choose the tea leaves. Use fine quality water and brew your green tea around 70ºC – 80ºC (158ºF to 176ºF). The quantity of tea should be 1 teaspoon per cup of water. Check instructions for the variety of green tea you have chosen. Now start by heating the water in a kettle. Don’t let it boil. Next, choose a teapot, fill it with your hot water and wait a minute. This will warm your teapot, preventing the tea from cooling down as it hits the cold walls of the teapot. Discard this water. Fill your teapot with hot water according to the number of cups you intend to drink. Then put one teaspoon of loose leaf tea into the teapot, and let it steep. Remember to check what is the ideal time for the particular type of tea you are brewing. Most teas will take about 2 minutes. Take a sip and enjoy the perfect cup of green tea. Is it bitter? Is the aroma unpleasant? There are many reasons why your green tea is not exactly what you expected. Let's take a look at the most common ones. Probable cause: You didn’t use fine quality water or even your regular drinking water. Solution: Sometimes the mineral content in your tap water may alter considerably the taste of your tea. So, make your tea with the your regular drinking water, this is the flavor you are most accustomed to. You may also consider purchasing a filter for your tap or using bottled water. The tea tastes bitter and is too astringent. Probable cause: The brewing temperature was too high and the steeping too long, which made your drink bitter and astringent. Solution: Experiment by lowering temperatures and trying different steeping times. Take pleasure in finding what best combination that best suits your taste buds. Your tea seems too strong or not strong enough. Probable cause: You either used too much tea or not tea enough. Solution: Although there is usually a recomended amount of tea per cup of water, this does not mean it is ideal for every single person. So try using less or more tea until you find the right amount of tea for you. Your tea tastes old or poorly, no matter what you try. Probable cause: You used a low quality tea. Solution: Sometimes tea can be on the shelf of a store for too long or be of lower quality. Try other brands or other shops if you suspect that the quality of the tea is being compromised. A good cup of green tea is worth the time you put into achieving the perfect combination of tea, water, temperature and steeping time. Green tea is fresh, delicate and super healthy. Find out more about green tea health benefits. You will soon find that a good cup of green tea is easy to make!